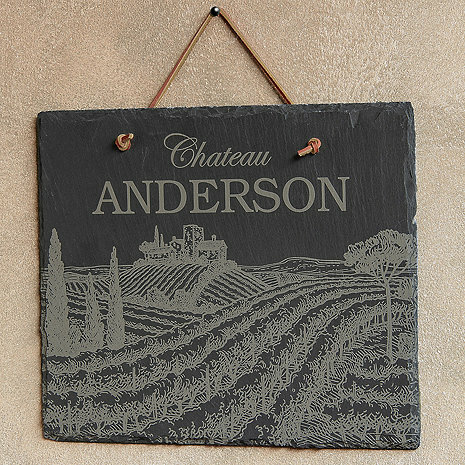 Add a distinctive and personal touch to your home with this Chateau slate sign. Family name and wine country chateau etched into slate. Each sign made from from a hand cut, fine-grained single slate. Weather resistant, suitable for indoor or outdoor use - looks great welcoming guests at your front door! Includes leather hanging strap.